A personal chef is someone who is a trained cook, who prepares at-home meals for their clients for a fee. 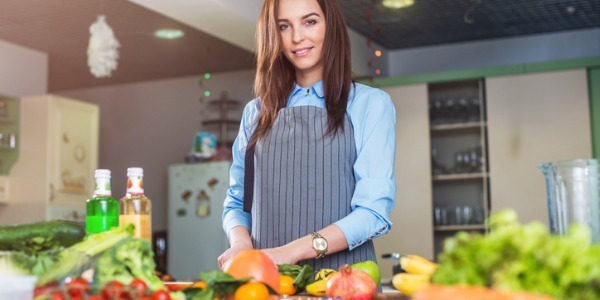 Personal chefs are usually employed by one family or one household; they will customize a meal plan according to the client’s dietary needs and preferences, shop for the items, prepare the meal, and also clean up the kitchen after they’re done. This saves their clients the time and effort needed to cook their own food, which can be very valuable to people that are extremely busy. A personal chef’s responsibilities include meal planning, shopping for ingredients, cooking, and cleaning up after the meals are made. Some personal chefs work in a client’s home to cook a week’s worth of meals, and are responsible for safe packaging, accurate labeling, and convenient storage of prepared items in their clients’ refrigerator or freezer. On special occasions, a personal chef may manage a team of cooks and act as a caterer. As a caterer, the personal chef and hired assistants may prepare foods that will be served to guests at a dinner party. This could be for a formal sit down dinner, or for a buffet style event. Personal chefs work closely with their clients. They have to take into consideration their clients’ preferences when customizing a meal plan. It is important to follow these preferences carefully in order to ensure client satisfaction. A chef must also have nutritional knowledge, as oftentimes a client needs to follow strict dietary guidelines or has food allergies. There are also some chefs that specialize in certain types of cooking, such as paleo, vegetarian, or raw food diets.